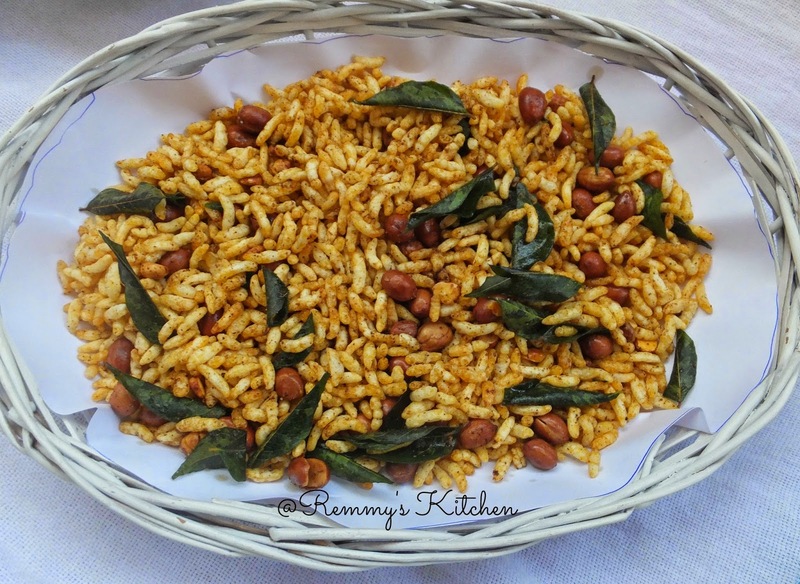 Heat a pan with oil.Add pottukadalai,peanuts and curry leaves .Fry it well.Now add chilly powder ,salt and turmeric powder.Mix it well.Switch off the flame and add puffed rice too. 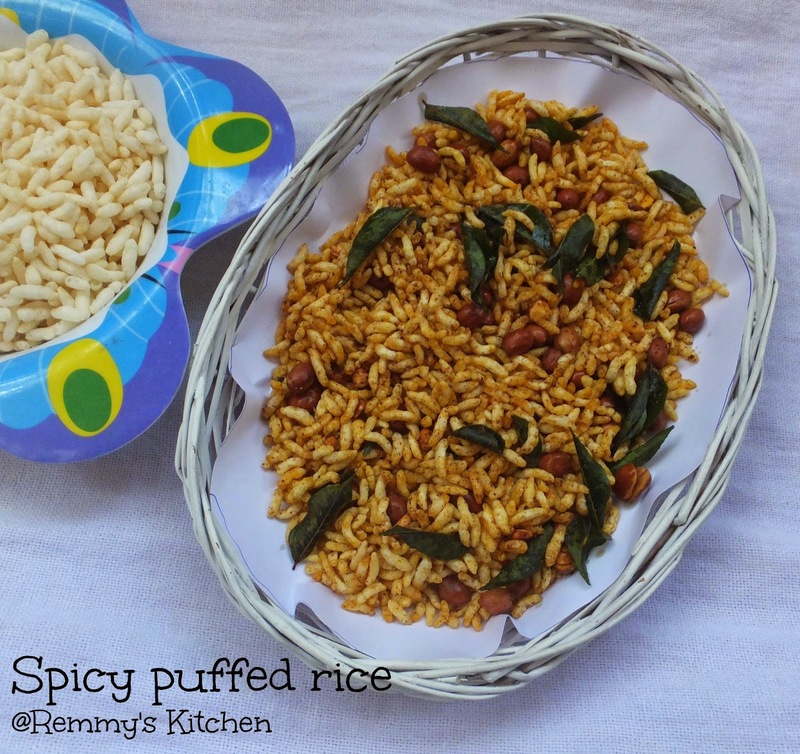 Mix it well.Spicy puffed rice is ready.After cools down completely keep it in air tight container. You may add 1-3 cloves of crushed garlic and 1 tspn of chopped green chilly too. Adjust the quantity of chilly powder according to your spice level. A favorite snack! Well made! Saw something similar in another foodies blog. 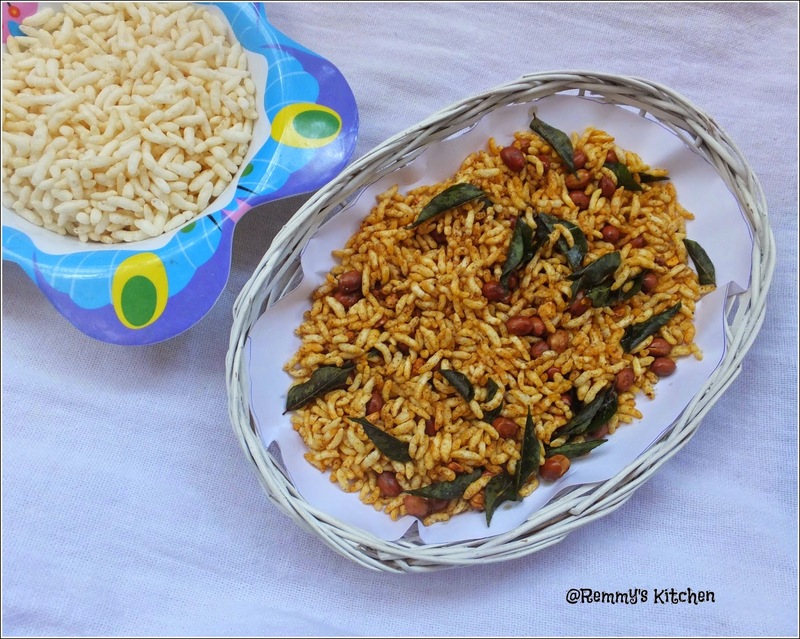 I love it and now that my puffed rice has been sitting in the fridge for a while, I can convert it to this loveable spicy snack. Wow loved these.... waiting to buy some puffed rice and try it. Love these spicy murmurma...cant stop munching them!! That's nice. Here I would love to tell you about its Bihari version. (we call it Bhunja and especially used to take it on Saturdays. So ur kitchen actually inspired me! Thanks Remya.